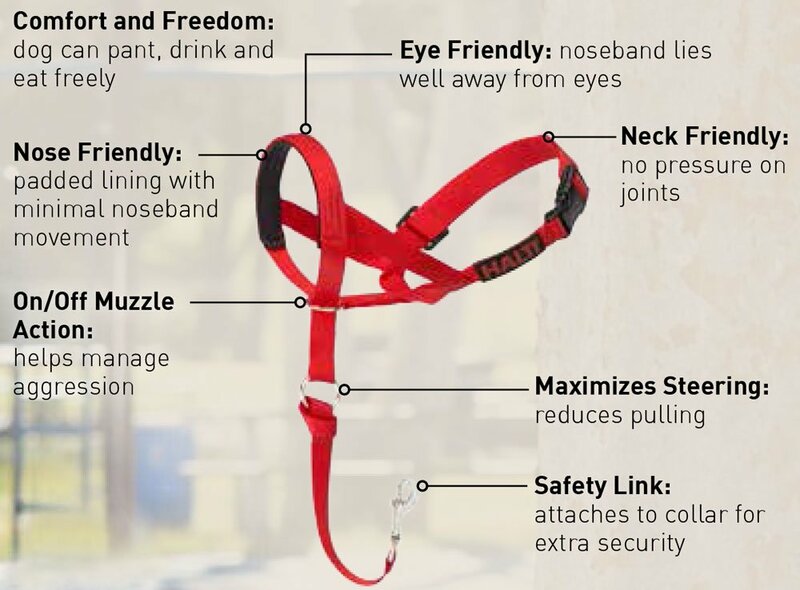 Halti Headcollar simplifies training so walking your dog is a relaxing way to spend quality time with your pet. 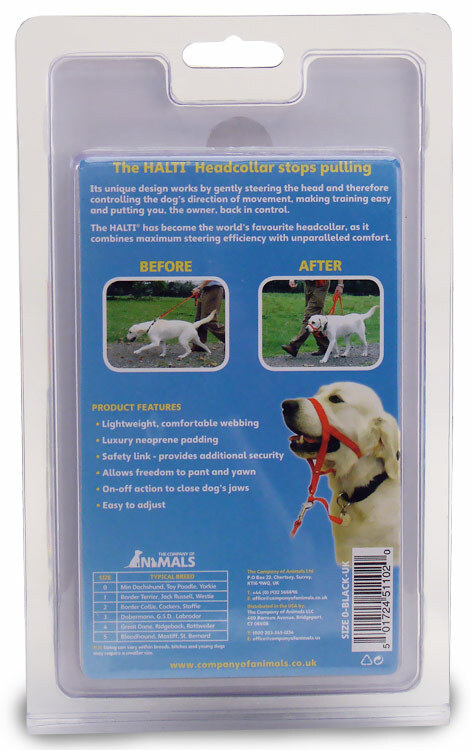 Easy-fit headcollar applies soft pressure to the bridge of your dog's nose and corrects pulling by redirecting forward dog movement. Improved design of this dog headcollar features an adjustable camlock for a secure and comfortable fit without restricting your dog's natural mouth movements. Includes a training manual so you and your dog can master essential techniques for "Loose Leash Walking." 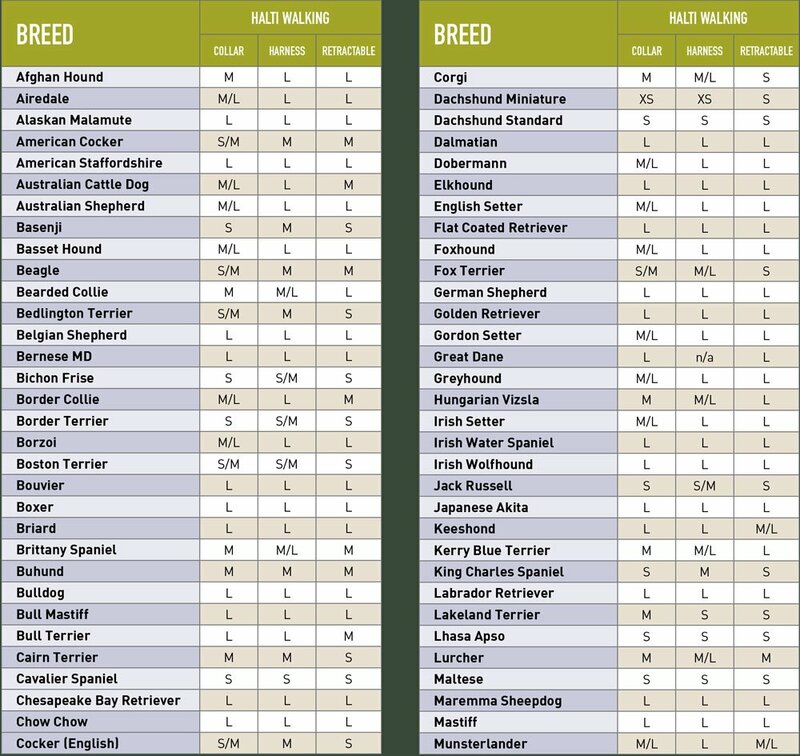 Size 3 applications: afghan, airedale, boxer, briard, chow chow, dalmatian, doberman, greyhound, german shepherd, husky, labrador, pointers, retrievers, setters, springers, weimaraner, and similarly sized dogs. 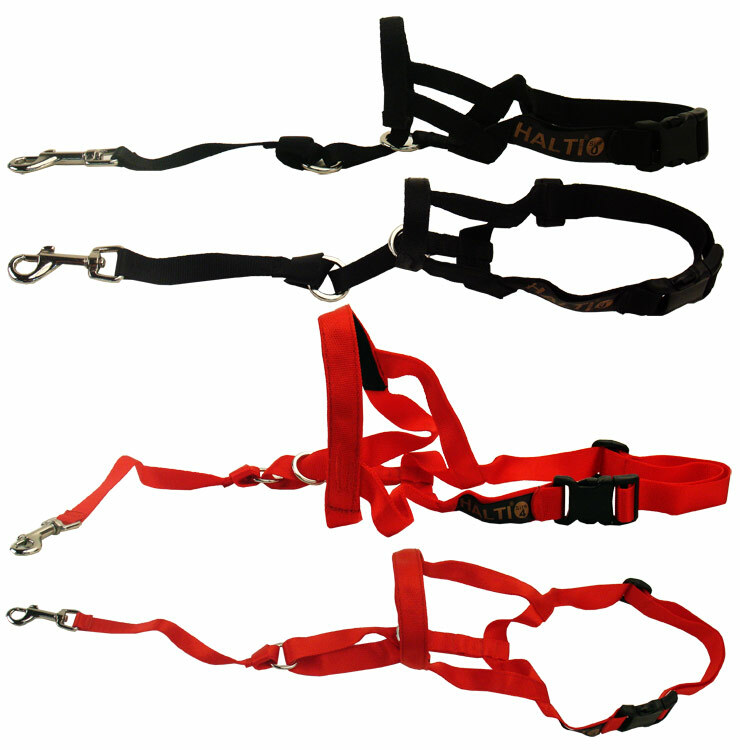 Assists with restraining dog during veterinarian or grooming visits. Fit Halti with label and seams to outside. Fasten buckle behind the neck. The noseband should rest midway between the eyes and the nose and not restrict panting. Adjust neck strap to allow the Halti to fit comfortably. 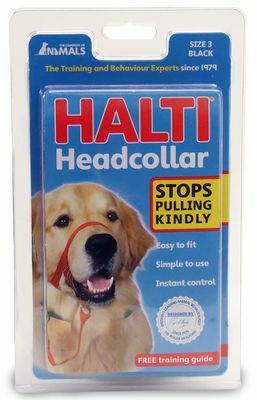 Allow the dog one to five minutes to get used to the Halti. Encourage play to distract from struggling and chewing. Fit the lead to lower Halti ring. Go for a walk and enjoy it. 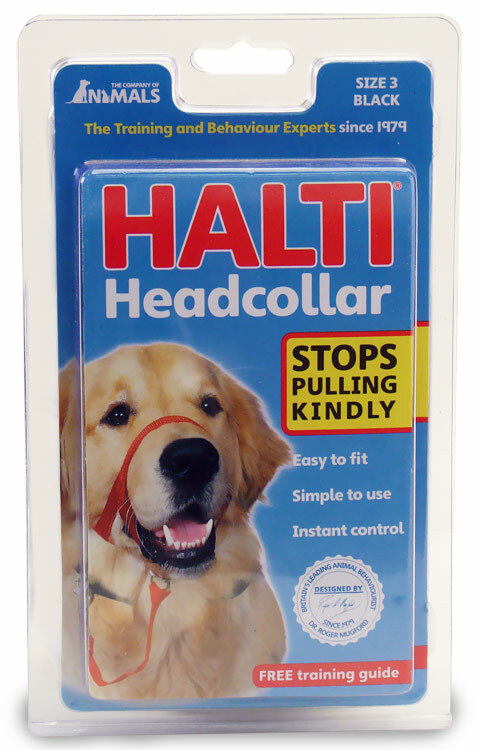 If your dog is particularly powerful or frightened, link lead to both Halti and collar. Never check your dog violently. Do not leave Halti on unsupervised dogs.